Cultivate Folk is a fairly new initiative in Sydney with the main tenet being the provision of a forum to allow for Australia’s talented and passionate artists, educators and thought leaders to teach workshops in their Surry Hills classroom. Having evolved from the brand engagement agency Our Friends Electric, Cultivate Folk’s offerings run the gamut from illustration and design to whiskey appreciation, floristry, writing, photography and screen printing, each class is designed to connect people with shared interests to professionals operating at the forefront of their respective game and who have taken their creativity and talent and turned it into a real, working career. With classroom sizes being capped at 16, Cultivate Folk allows for presenters and trainers to engage in an intimate environment and cater to attendants individually, which truly makes it a curated classroom for the like of mind with the programs on offer being meticulously curated by the ex-brand manager of Sydney’s Tropfest, which we recently covered. Housed on the ground floor of OFE’s new hub in Surry Hills, Sydney, the open space flexible classroom with moveable work benches and LED screens has been designed by award winning architects; Luigi Roselli, who was in attendance of tonight’s Whisk(e)y Masterclass. Tonight’s master class was hosted by Joel Hauer, a whisky connoisseur and founder of Whisky Loot, a curated service that in essence sends subscribers a regular package of whisky samples in exchange for a fee. The content of Whisky Loot’s boxes focuses on the partnerships that have been directly formed with distilleries and is an educational exercise as it provides subscribers with relevant tasting notes and allows them to form their own opinions about varieties they would normally not come across. Each bottle is presented in a uniform monthly box devoid of label branding in a bid to enhance an unbiased representation, which comes along with a tasting booklet allowing people to write down their thoughts, as they taste. 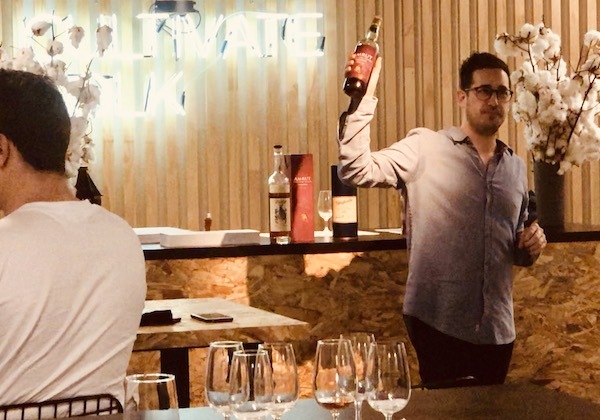 Tonight’s master class made Whisky Loot come to live and after being sustained, Joel explained the basics and underpinning concepts of whisky for the uninitiated. What followed was a tour de force across this earthround: What opened with a heavy-hitting Willett Family Rye, found its first highlight with Limeburners Port Cask. The malty mélange of honey, vanilla and berries was dangerously more-ish and made me come to the conclusion that the Western Australian distillery and its expressions warrant a dedicated feature. Another highlight was the Ledaig 18 Year Old – a brooding, smoky little number that presents itself in a different smoke than the usual suspects from Islay with nuances of walnuts and ash. Amrut has yet to release an expression that does delight in every way imaginable and the Intermediate Sherry was not an exception with a sheer endlessly lingering finish that followed what felt like chewing on Christmas cake. A curiosity of the master class was the liquid emission of Italy’s only whisky distillery, i.e. Puni Nero Sole, an interesting zesty expression with hints of cheese and anchovies. 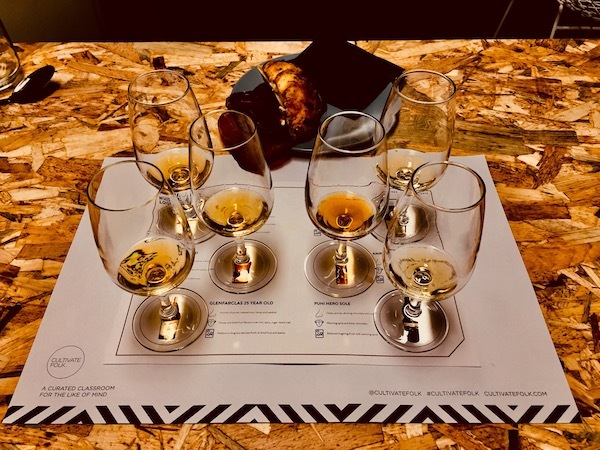 While the dram proffered made me think the distillery is still at experimentation and calibration stage, it is definitely one to watch and one that I would have not been exposed to had it not been for the curation of Whisky Loot. An enjoyable evening in pleasant company that proved to be the ideal transition into the weekend.